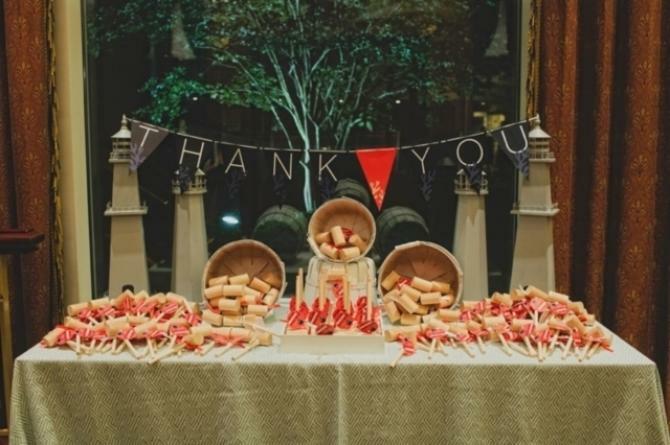 Thinking of creative Ideas to Say Thanks to Wedding Guests? Your wedding was absolute fun. There was so much dance happening on the dance floor, and your friends and relatives took the pain to travel from distant lands, all the way to the venue at a given time, to make this occasion so beautiful and memorable. You should take out some time to thank all the guests, and show some gratitude towards them. There can be many ways of showing this gratitude. By handing them a memorabilia, booklets and speeches, or by sending them thank you cards. You can choose your way of sending the message across. Here are some of the Ideas to Say Thanks to Wedding Guests. Sometimes, just a simple message does all that it takes. You can send a thank you card to all the guests who took the pain to come and be a part of the occasion. You can use your monogram over the wedding card, and write a customised message on it for the special ones, and a standard message for the rest. After the wedding, the bride and groom can sit down together, bring together the list of guests who were invited. Filter out the people who were most active at your wedding and meant huge to you, and start writing messages for these cards. They will be the ones who will be doing most of the work for you at your wedding from getting a Tailor designed clothing to matching shoe. So, it is important that they feel honoured at the event. You can take out some time for them, and choose to spend it with them. Brides can go for a relaxing manicure-pedicure session or a massage. The groom can go out with his groomsmen and have a good time over drinks and dinner with them. Run away from the chaos for a while, and spend some quiet and relaxing time together. And most importantly, let them know how thankful you are to them. Your parents will certainly be the happiest ones at your wedding. It is important that you recognize their contribution to your lives and to this wedding. You can have a small display of their wedding photos at your wedding reception. You can also carry something that they wore at their wedding. It can be a bouquet, the wedding dress or just anything. Show warmth of affection to them in some way, by making them a part of your celebrations. Simple signage at your wedding will say it all! Write simple and sweet messages with a chalk on the board, or use wired vintage frames with a message written in silver. The possibility of getting creative with these messages is infinite. Get creative and write messages that you feel. 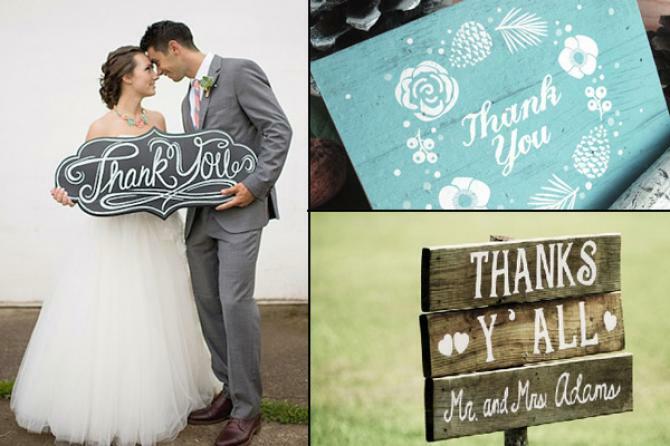 You can use signs all around the wedding place, letting your guests know that you are thankful. Plan a memorabilia for your guests. It can be mugs, necklaces, perfumes, or bracelets with a thank you tag tied to it. Add a customised message for your guests in these, and make them feel special. Deliver the message across that you are thankful. These little gestures for your guests will hold close to their hearts forever. Make this day a happiness-filled day for everyone. There will be people raising toast to both of you. Take this opportunity to deliver a speech, thanking everyone who took out time to be present at this occasion. Words from both of you will be etched in their hearts forever. 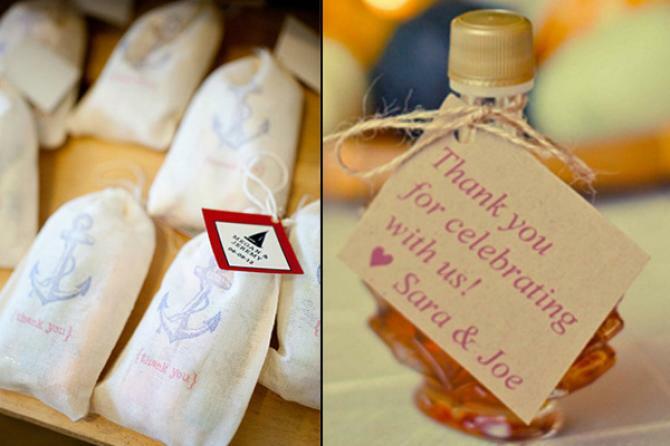 How did you like our Ideas to Say Thanks to Wedding Guests? Let us know more about Ideas to Say Thanks to Wedding Guests.